A simple and filling hot lunch. Meanwhile, mix the eggs, milk and seasoning together. Pour into a small saucepan and cook for 2-3 minutes, stirring occasionally until scrambled. 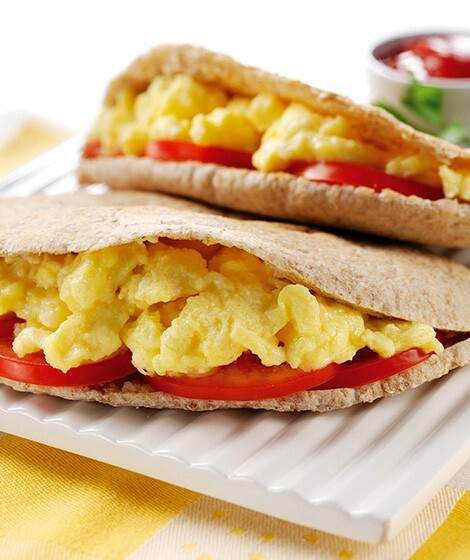 Slit the pittas open and place the tomato inside, top with the scrambled egg. Serve with tomato ketchup. Add some dried herbs and grated cheddar cheese to the egg for extra flavour.